Automate manual processes, reduce total cost of risk, and manage safety in one comprehensive EHS platform. 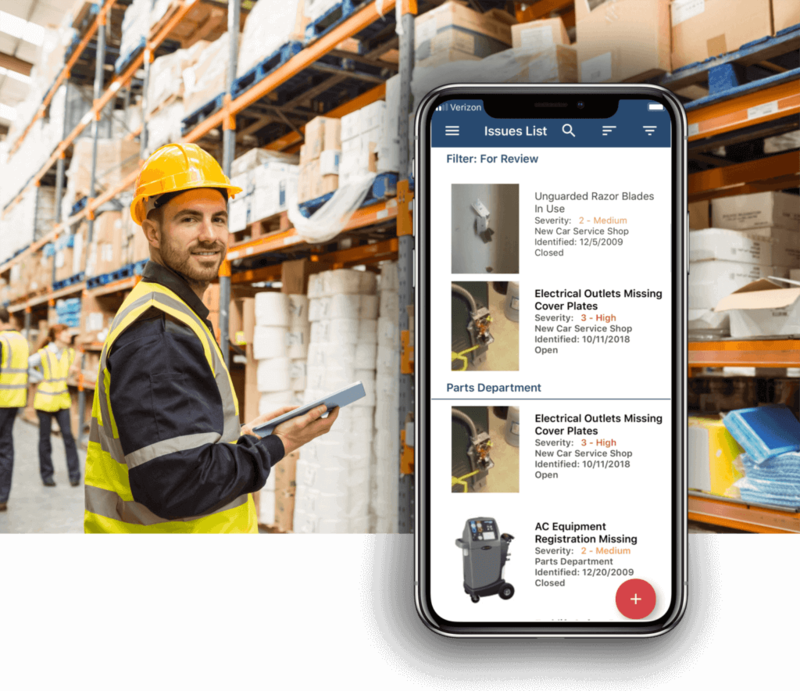 MyKPAOnline helps you develop a comprehensive EHS program that harnesses technology, best practices, and the concerted efforts of your workforce to maintain a safe and productive workplace. There are hundreds of potential risks in your facility that should be addressed before they result in an injury. Your job: find and fix them. KPA’s corrective and preventive action management tools help you find issues and create a plan to address them BEFORE they become an incident. You can assign issues for corrective action and track completion. You will see the citation and regulatory requirement at the federal, state, and municipal level. Once you’ve logged the issue, the system gives you a list of recommended steps to help you resolve it. And, schedule and track activities such as safety meetings, equipment inspections, and chemical inventory review. Accidents happen. And when they do, you need to capture information quickly to ensure both swift action and proper reporting. Capture all the details accurately using a mobile, wizard-based accident reporting form that guides you through the reporting process. Access a comprehensive, award-winning library of over 150 online training courses designed to help employees improve both their performance on the job and their compliance. These courses are based on real-world examples and cover critical safety and environmental compliance topics. Give your employees the knowledge and skills they need to work productively and compliantly. View compliance levels across the organization through the interactive dashboard. View levels segmented by safety, environmental and regulatory. With a click, see Open Issues, Overdue Issues, and Open Accidents. Drill down to overdue issues by the assigned owner as well. Incidents and accidents rarely happen at your desk. Use KPA’s mobile technology to access the tools and information you need, where you need it. Access the system from any internet-connected workstation and mobile devices for capturing information and images on the spot.